From 2-inch to 4-inch, 4-inch to 6-inch and 6 to 10.1. Smartphones are getting bigger and bigger everyday, those within 5-6-inch are usually referred to as Phablet while those within 7-12-inch are called Tablets. But what will you call one that is 32-inch or 46-inch in size ? A T.V ? Maybe. But we're not talking about T.V now, it's something uncommon. You'd probably guess wrong if you were to guess, it's a Coffee Table. You might have seen some types of Coffee table before but this one right here is different and unique. With the collaboration between 3M and Ideum, a very wowing and high-end technological device has been produced, which is in form of a smart multitouch coffee table that runs on the Android OS. 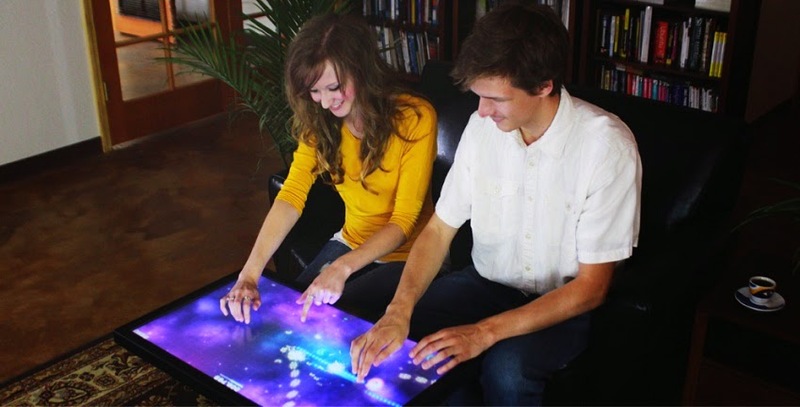 There are so many future plans to be executed by Ideum in regards to this but now there are mainly two models of the smart multitouch coffee table on offer which is the "Platform 32" as well as the larger "Platform 46". Both are running on a Quad-core Intel Core i7 CPU clocked at 3.7GHz, in addition to a Blu-Ray combo drive and a Full HD display. The smaller 32-inch model (Platform 32) delivers 40 simultaneous touch points on its screen, while the larger 46-inch model delivers 60 simultaneous touch points. The Platform 46 also has an edge in terms of its storage capability of 512GB SSD alongside a 16GB RAM and Android 4.4 KitKat or Microsoft Windows 8. Maybe you're thinking 'What if Coffee spills on this table ?' Well, these tables are water-resistant, and you don't need to be told that it's very expensive, maybe because of the best technology solutions used, such as the chemically strengthened glass top and chassis made out of aircraft-grade aluminum. The Platform Multitouch Coffee Tables are built with pride and have exceptional build-quality, making them perfect for public spaces and other demanding environments. 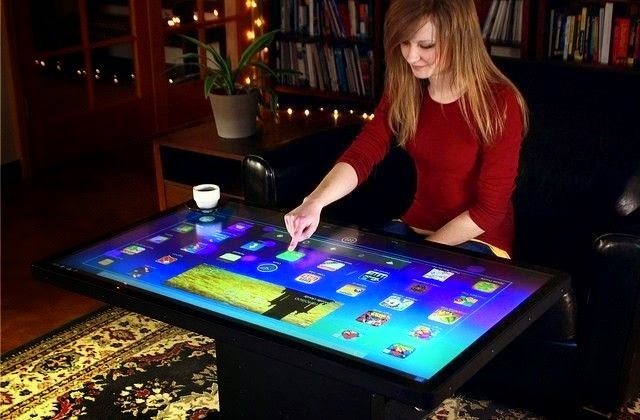 The Windows 8 version and Android version of the Platform 32 multitouch table coffee costs a whooping sum of $6,950. Yeah, it's expensive. Have you taken a cup of coffee on this table before ? If not, you might be wondering how it's going to look like to have a cup of coffee on this expensive coffee table ? Here's a video you'll surely like to see. Enjoy !! !